Jean-François (Jeff) Mounet enters into the world of music at an early age. Batsman percussionist there is formed in France and the United States at Musicians Institute of Los Angeles. He discovers the composition by performing several musical productions for films of the underwater world and a documentary about the life of children Bali. Coasting along therapists in the field of personal development, this leads him naturally to create music for wellness and relaxation. 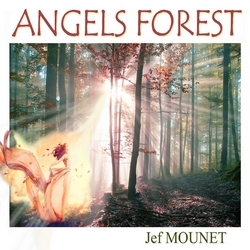 Jef Mounet is part of the musical universe of Radio PLENITUDE.